I was a speaker today at the Rising Stars conference on the new KS2 tests and assessment frameworks. During the keynote sessions we heard some words from the DfE which might be useful to others, so I am collating my tweets here. I have no idea who at the DfE thought that the best time to share information about Ks2 assessment was 2 o’clock on a Friday afternoon via a ‘Webinar’, but thankfully they did at least have the wisdom to make the video available after the event. I do my best to be fair to the Department for Education, even when I find things frustrating. (I honestly do!) I’ve given the department it’s fair share of stick, but the civil servants who work there have a difficult job and almost certainly deserve more credit than I give. And despite the complications and delays and various other issues relating to primary assessment, I think when it comes to the new progress measures for primary school, the department has got it right. The calculations are complex, but I shall try to illustrate here why I think the new method is an improvement on the old. It is fairly closely based on the existing Value Added measure, but linked to the new scaled scores in KS2. I provide this video to illustrate my understanding of how it works… and hope that if I’ve made an error that someone at the DfE will correct me. Importantly, the measure is based on individuals’ progress. Each child’s progress is compared to that of other children with similar starting points (if you consider their KS1 assessments to be a starting point! ), so even if they don’t reach the new expected standard, their progress can be recognised. The reason this is important is that reduction of the cliff-edge measures – something best illustrated by the extremes. Many teachers will be familiar with the child who was very close to level 3 at KS1 and just scraped a L4 at KS2 – they are counted as having achieved two levels progress, despite having barely moved more an a single level. Contrast them to the child who barely scraped a Level 2 on teacher assessment at KS1 and then misses Level 4 in KS2 by a single mark. Despite having very nearly made the full 2 levels, and more than the first pupil, they are counted as having failed to achieve the 2 levels measure. Under the new system, the measures of progress are much finer, and so not so much rests on specific thresholds. That’s got to be an improvement. Instead of everything hanging on the luck of the thresholds for Level 4, or the poor child who misses the key point by a single mark, the progress of all pupils is counted towards the final measure for schools. It also helps to improve one of the other issues of the system. We know that children with higher prior attainment are more likely to make rapid progress. By comparing individual pupils to peers with similar starting points, that likelihood is less problematic. All of those pupils with low attainment in KS1 will be compared to others with similar attainment; schools with high proportions of lower prior attainment won’t be battling to match the progress figures of high attaining schools in very different areas, because the measure will be based on the sum of the work they’ve done with all their children, not just the few who happen to tip over the next threshold by May. It won’t solve everything. There are still going to be negative effects. But it’s a much better system than the one we’ve got, and the department should be proud to announce it. Now, chances are that you recognised at least one set of statements, but putting that knowledge aside, how clear is it which is the more demanding? For example, if I were to point out that one is the expected standard for KS2 (i.e. a list of things that a child must be able to do at age 11 to reach the expected standard – for which 85% of children are meant to be aiming) and the other is the writing descriptors for a mid- to high-range GCSE grade (i.e. an outline of the expectations of a student somewhere around the expected standard at age 16), would it be clear which was which? I’d imagine that some of the expectations give it away: its unlikely to see handwriting mentioned in the GCSE paper, and for some reason choosing appropriate content doesn’t seem to matter at age 11. But is the demand really different enough to recognise a further 5 years of education? If a child is able to make some use of semi-colons, dashes, colons and hyphens at age 11, is it really any different to be using a range of punctuation at age 16? Is spelling irregular words correctly any different from generally accurate spelling (bearing in mind that the list of words for KS2 includes accommodate, embarrass, mischievous and yacht)? Now, you might argue that the GCSE criteria are too simple. I might even agree with you. But overall – given the higher level of demand of the task and other things, it seems like it might be a reasonable aim for a majority of 16-year-olds, given that 65% are expected to meet the new Grade 4 standard initially. But is the list of expectations for 11-year-olds really realistic? When the new National Curriculum assessments were initially explained, we were told that the expectation for 11-year-olds would rise to be in line with what had previously been a “good level 4”, or a level 4b. This list for KS2 bears no resemblance to such a list. As we’ve changed from best-fit measure to a non-negotiable one, it strikes me that the most straightforward way of drawing a comparison would be to look at the old Level 4 writing criteria. In the past it would be enough to get ‘most’ of these elements secured to reach a level 4, so presumably to be a ‘good level 4’, you would expect to see all of them. But what sort of a list would that leave us with? And it’s notable that of those children who were securing this ‘good level’, some 72% of them were going on to get 5 good GCSEs including English and Maths. That seems like a pretty good figure to me, if the current aim is for around 65%. So why the massive ramping up of demand? An effort to be seen to be raising the bar? A scheme to force more primary schools to convert to academy status? I should thank @sputniksteve for bringing the document to my attention. On Thursday I published a post that largely focussed on why I think we are expending too much effort on written marking. Today I want to pick up on why one of the worst costs of that excessive use of time, is the lack of time left to devote to planning. 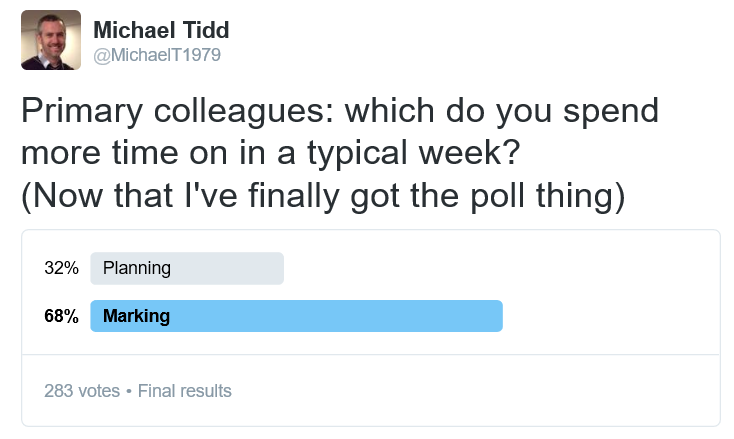 Many people responded to both my recent polls stating that they consider marking and planning to be synonymous, or intertwined, or in some way part of the same thing. I argued previously that actually I think it is the looking at work that has the greatest impact on future teaching, not the written comments that get added to it. 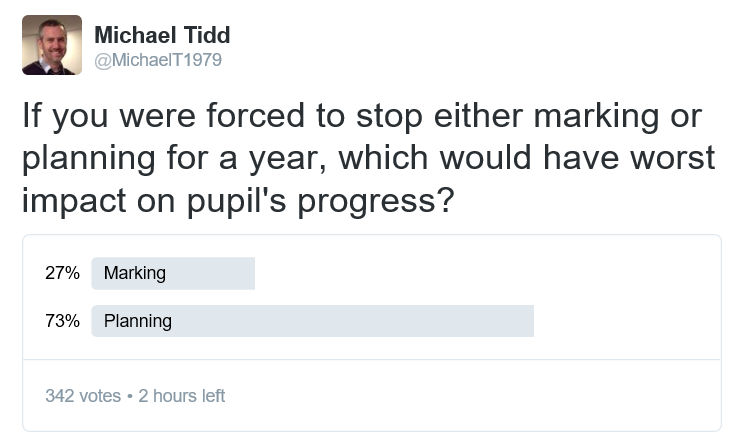 Which rather begs the question: why did the poll for the most-time spent, show it to be the other way around? Why are 2/3 of us spending more time on marking, when most of us feel that planning would be more beneficial? What’s more, I think that most people are basing that on the relatively narrow idea of planning that we currently use in teaching. I suspect that many of those who thought marking more valuable are in schools where the burdens of recording planning detract from its benefits. It’s still common to hear of schools where detailed daily and weekly plans must be submitted in advance, or where every lesson must be planned using a given pro forma with endless boxes. But it’s not this that I mean by planning. Too often we still think in short term lumps when it comes to planning – even to the point of separating out learning into separate single-hour lessons. Bodil Isaksen has written well about this in the past in her blog: A Lesson is the Wrong Unit of Time. I think the historical focus on progress is partly to blame. When Ofsted were looking to see progress within a 20-minute window, of course it was necessary to have at least one new objective every lesson. But in reality we know that learning doesn’t work like that. One lesson on subordinate clauses will not make high quality complex sentences abound in children’s writing. There is a long progression of understanding to pass through to reach that point. The problem is, I don’t know what it is. I’ve got some thoughts, but I haven’t given enough time over to thinking it through clearly enough. I haven’t spent the time planning what the curriculum should look like if my goal is to ensure children can use complex sentences well. There was always too much else to do. My drive for more planning time is not about more filling in of pro formas. Quite the opposite, it’s about the thinking time to develop meaningful sequences of learning. It’s about setting a small number of key learning goals to be achieved over a period, and then developing the sequence of learning experiences that will guide students towards that aim. 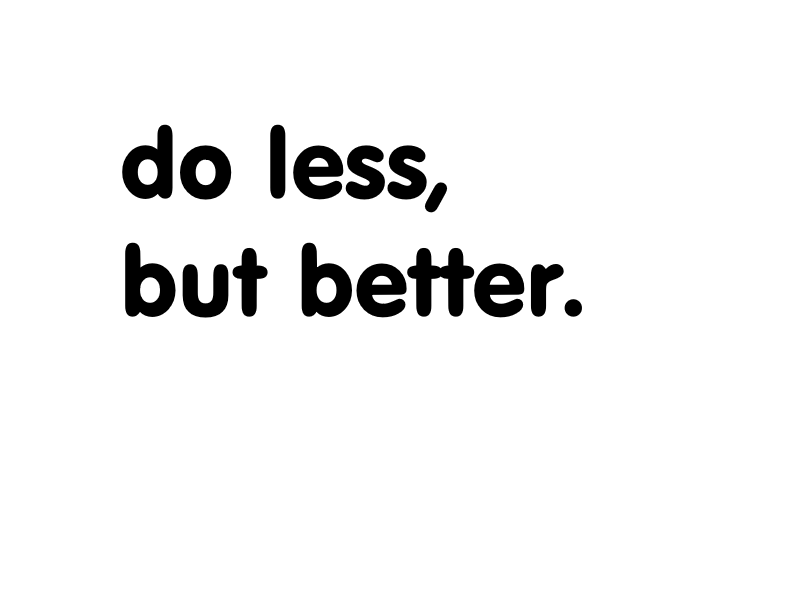 It’s about doing less, but better. And inevitably that means that in some one-hour lessons, children won’t evidently be any closer to achieving that outcome than when they began. But as I’ve advocated in the past, by spending longer periods of time building up a narrower range of objectives, we can develop meaningful sequences of learning that provide opportunities for practice, for application, for making links, and for exploring in greater depth. The current reality is very different. Particularly in primary schools, long-term planning (if it exists at all) tends to consist of the ‘sharing out’ of topics, with medium-term planning often focussing on links between subjects and contexts for work. Very rarely do I see a medium-term plan which clearly sets out the handful of things that children will be expected to really understand by the end of the unit. Probably partly because of all the marking. If you’re marking 30 books in school every day, and taking another 30 home, and saving the topic books for the weekend, when do you have any serious time to sit down and think about – or better still, talk about – the direction of the curriculum. Is it any wonder that we get trapped in the short-term cycle of planning lessons for the next few days? And given the detail in which we often plan in the short-term, is it any wonder that our longer-term plans are inevitably brief? Now of course, there will be arguments that planning needs to be done immediately before teaching so that you can respond to assessment in the prior lesson. Again, I think that’s a nonsense. The only reason planning needs significant adaptation is if it is too detailed. If you plan every lesson down to the last minute (as once we might have been expected to do), then of course, any slightly twist in the lesson will mean re-writing the plan. But if, rather, we have thought about the long-term goals, and planned a likely sequence of reaching them, then the minor variations along the way are incorporated into that “responsive teaching” that I mentioned in the last post. 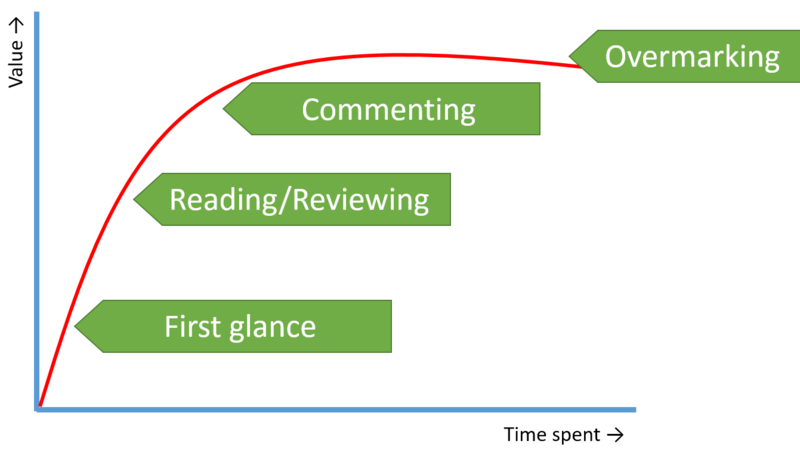 And just think – if we significantly reduced the volume of written marking, and detail of short-term planning, how much time would we free up to really explore the very best ways of teaching new content and skills over time; to assess children’s understanding more fully; and to respond to that feedback to adapt our teaching to ensure the best possible progress, in line with our medium- and longer-term aims. In fact, if there’s one thing that unites the problems of planning and feedback, it seems to be that we spend too much time on recording those things, and not enough actually doing them. I absolutely agree that looking at books, seeing what children have done, is key to assessment, and assessment is key to good planning. However, as so often, marking has been given credit for things which are not within its effect. Feedback is information given to the learner and/or the teacher about the learner’s performance relative to learning goals. Feedback redirects or refocuses either the teacher’s or the learner’s actions to achieve a goal. Once again, how many policies about feedback clearly stress that feedback can be for teachers as much as for students? (If not more so) Many schools have re-labelled their marking policies as ‘feedback’ policies, yet the whole policy is then about written marking. Only the title has changed. I know it happens: I’ve done it! Despite everything we learn about formative assessment, we still tend to prioritise written feedback at pupils (note my use of that preposition), rather than the plentiful valuable feedback to teachers. Which brings us back to those diminishing returns. I’d argue that in the first few moments of looking at a piece of work, a good teacher can take in a fantastic amount of knowledge and understanding about how a child has understood a given taught concept. In the next few moments of reading or reviewing in greater depth, they gather much more. By the time they come to write the comment, they have probably exhausted the task’s usefulness to the teacher, so the only further impact to be made is on the pupil. Many people would argue that DIRT time solves this conundrum; that if pupils are responding to feedback then Good is being done. But is that really the case? If we ask a child to re-write a paragraph using three adjectives, have they therefore learned to improve their use of adjectives? Or have they simply learned that whatever they do, there’ll be more work to do next time? And if every task comes with a follow-up, how do they know when the follow-up is administrative or unique to this task, and when it’s a key point for learning that will be useful again and again? And each time we craft a good follow-up task that really hits the nub of learning for one pupil, how many others end up with a time-filling task, or something out of their reach, or that misses the point? The fact is, formative written marking is a high-demand task for the teacher, and one that is very hard to make into a high-impact result for every student. I think it hits the nail on the head when it comes to ‘feedback’ and related matters. The feedback that an expert teacher can garner from reviewing a piece of work (or talking to a child, or marking a test, or a myriad other things that we rush through) can be massively powerful, particularly if teachers have the time and energy to use it to make a difference to their teaching. That responsive teaching can happen in every moment of every lesson. Certainly I would expect any good teacher to be responding to feedback frequently in a lesson. If we think of feedback as being part of responsive teaching, then suddenly written marking appears like the poor relation. Why would anyone wait until a whole other day to redirect focus or attention? But we have become in thrall to the marking behemoth that has arisen. We equate the all-powerful feedback with the clunky and slow written marking process. And with teachers spending so much of their time on marking, its clear that they are not spending as much as they might otherwise be on planning. Part 2 of this blog focussed on planning is now online here. For a fascinating insight into an alternative way, it’s well worth reading Joe Kirby’s blog post: Marking is a hornet. Actually, it’s just worth reading Joe’s blog, full stop. This is an idea stolen entirely from my better half – @TemplarWilson. For the past few years I have eschewed the carousel method of Guided Reading in favour of whole-class teaching, based on the ideas she set out in her post: Our Solutions to the Problems with Guided Reading. One of the approaches her team tried, and that I’ve tried on occasion, is to read a novel as a whole-class text over a half-term or so, and then compare the book to the film at the end of the unit. 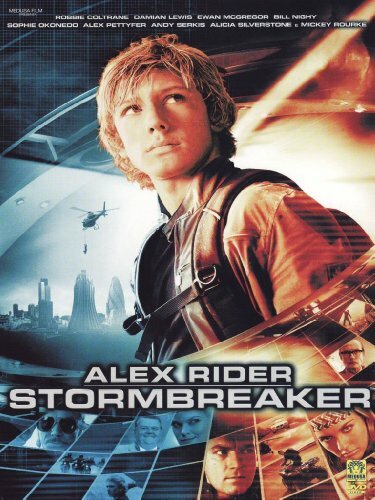 I found it worked fantastically well with Anthony Horowitz’s Stormbreaker, where my Y5 and Y5/6 classes have been gripped by the book, and were also quickly able to highlight the flaws of the film. Consequently, I put out a request a few days ago via Twitter for recommendations of other books that have also been brought to the screen. I was greeted with many responses which I’ll share now. I should point out that I originally asked for suggestions for upper KS2, but I’d welcome further suggestions, including for other age groups, in the comments. The Giver (Lois Lowry) – definitely check out the issues in this before reading! Matilda (Roald Dahl) – well worth seeing the musical version, in my opinion. Northern Lights (Philip Pullman) – soon to be made into a BBC series, I believe. I am occasionally asked to speak at events on matters relating to curriculum and assessment, at Teaching Schools, locality networks and national conferences. Where these are open to the public, I will list them here. 19th March – Manchester – Primary Rocks Live!